where harsh words, tears, hurt, anger & pain can’t tarnish the memory of us. You are forever a part of me- my past & my history. So I’m refusing to injure the memory of what was, with what’s coming to be. Do you know who my friends are? I am blessed to know some pretty amazing people, doing some pretty amazing things. 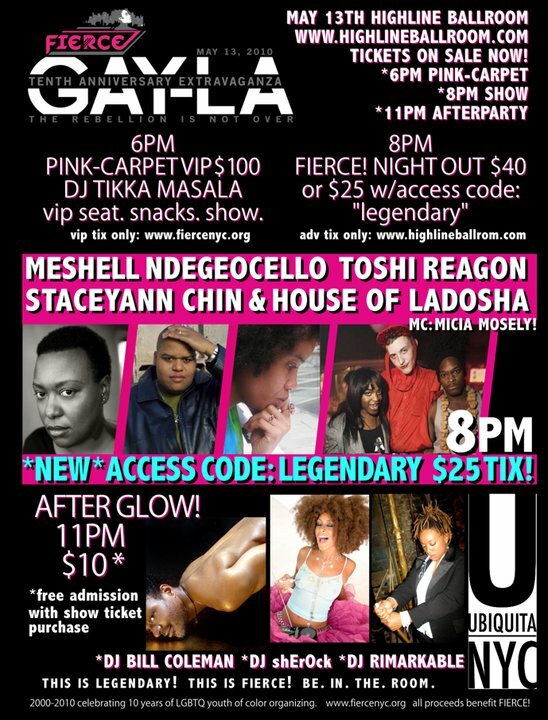 My best friend Ojay Morgan’s is apart of a House of Ladosha (shout out to Antonio and Adam) well be head lining Fierce Gay-la along with Staceyann Chin, Meshell Ndegeocello and Toshi Reagon. I am a huge fan of them all, times like these I wish I was closer to NYC so that I could support. Off and on for a year I have been substitute teaching in Palm Beach County public schools. Before that I worked in the Philadelphia school system for the better part of 2 years. I have been inspired, frustrated, entertained, enraged, encouraged, and disillusioned in the process of working with the youth of America. Last week I got B.O.B. new album. “The Kids” featuring Janelle Monae, is clear stand out in my opinion. It echoes how I feel about children in today’s society, particularly black children. There are so many odds stacked against these children it is easy to believe that “they don’t stand a chance”. That is of course a self defeating prophesy, if you believe that there is no hope-there will be. 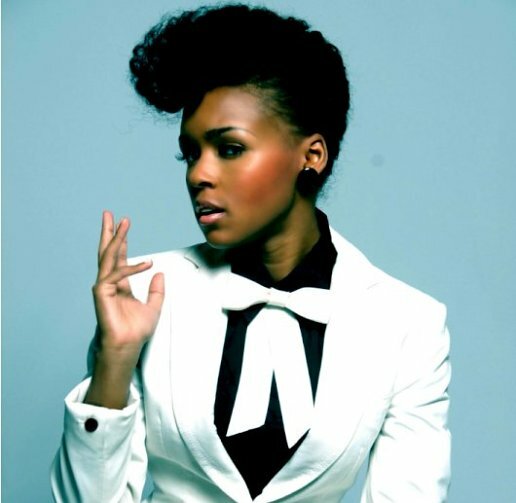 Janelle’s verse provides an accurate assessment to the realities while also providing hope for the situation. I am looking forward to her album. Chick is GORGOROUS with a beautifully pure voice. She is very unique- exactly what music needs right now.